The 2019 Special Olympics Ontario Winter Games are fast approaching. Sault Ste. Marie is hosting the event coming up at the end of January. 500 athletes will be competing and the organizing committee is looking for people to sponsor them. 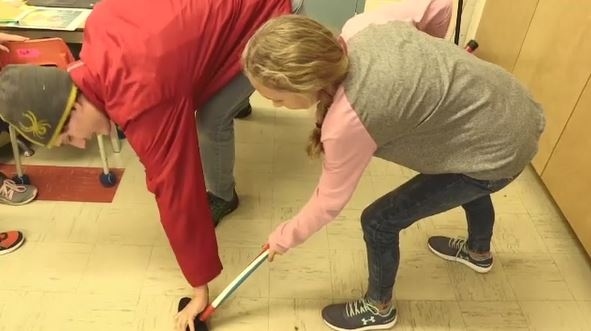 Recently Shevy Harman, an athlete that will be competing in the curling event at the games, visited a local elementary school to give the students a lesson on how to sweep using a curling broom. The school just recently donated $500 to sponsor a local athlete like Harman. "I'm actually quite honoured that little kids like that are getting so into something like this. 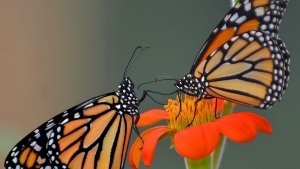 It shows that kids can be supportive of something they don't really know much about." said Harman. Students from junior kindergarten to grade six helped raise the money to sponsor the athlete through fundraisers such as ‘crazy hair day’ and a ‘red and white’ event at the school. “Just cause we wanted to make sure everybody had the opportunity to be on a team and to play and just participate in sport." said Miila, a grade six student. 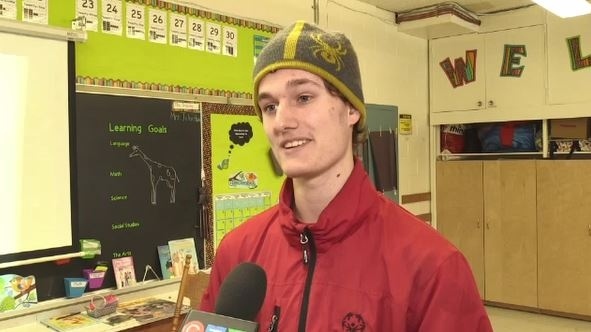 This week, four schools in the Algoma region adopted 10 athletes for the upcoming games. Constable Shaun Beaulieau is the games’ manager. “The average cost for us to put up one of the athletes is about $500, to pay for their meals, their accommodations, as well as their transportation in the city." said Beaulieau. So far, the committee has found 100 sponsors. 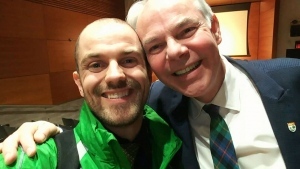 With just under 60 days until the provincial winter games start, the organizing committee is hoping to find 400 more sponsors for their Special Olympic athletes. Some of the students said they will be attending the games to cheer on the athletes, and just might cheer the loudest for the one they are sponsoring. And CTV Northern Ontario’s Jessica Gosselin will be hosting the opening ceremony of the Special Olympics Ontario Winter Games on January 31st, and we’ll have plenty of coverage throughout the event.